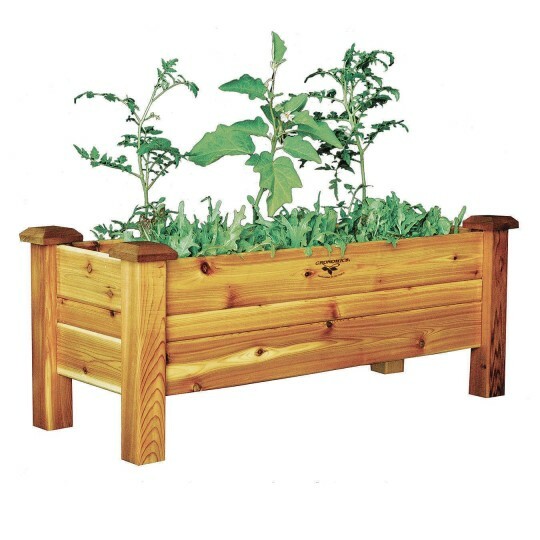 The ultimate space savers, Planter Boxes fit perfectly in an entrance way, on the patio, or on a deck. 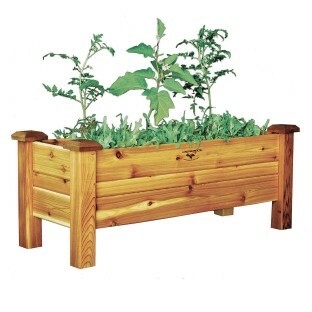 Use these planters for herbs, flowers or even a small vegetable garden. Constructed of 100% Western Red Cedar and handcrafted in the USA. Comes in a boxed kit with easy to follow tool-FREE instructions. These planters set up in less than five minutes. Place the custom-cut piece of landscape fabric in the bottom of the bed, add soil, and plant a garden today! Unfinished. Or stain it in your own preferred color or let the Cedar weather naturally. Measures 18”D x 48”W x 19”H.